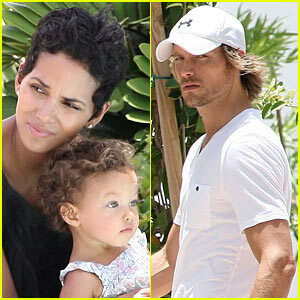 Sources are revealing that a family court judge order actress Halle Berry to pay the father of her child, Gabriel Aubry, $20,000 a month in child support for their 4 year old child, Nahla. This is definitely a bitter pill for Berry to swallow since there was never a child support arrangement in place until now. Now I don't know about you, but damn $20K is a lot of money. I don't care how much money a person makes, that is still a lot of money for child support especially given the fact that the parent receiving it does not have full, primary custody of the child. With more and more women becoming the primary breadwinner in their family, we have to expect to see a dramatic shift in the way child support is handled. More and more men are beginning to receive child support. And this is a trend, I suspect, that will continue growing. I make more than my exhub so he wasn't ordered to pay much support. They changed the laws in Georgia 3 yrs ago and moved from a percentage to figuring out who made the most money. I have custody. With respect to Berry's case, it's all about maintaining lifestyle for the child. When she's with dad the lifestyle will be somewhat on par with mom. I'm not surprised. This is absolutely crazy. I hope that she will appeal this decision because it makes no sense that she should pay him child support at all considering she has primary custody and keeps their daughter 80% of the time. I'm sorry but Nahla can't be running up 20K in bills for the 10 days a month she might spend with her father.